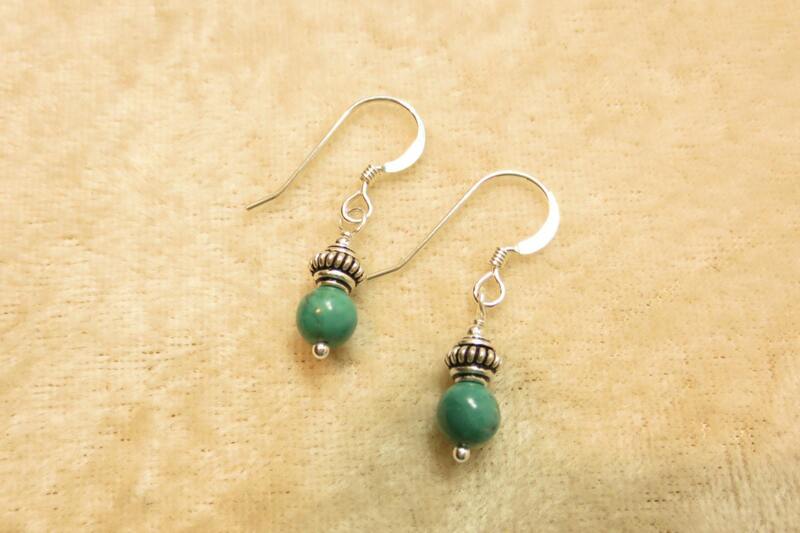 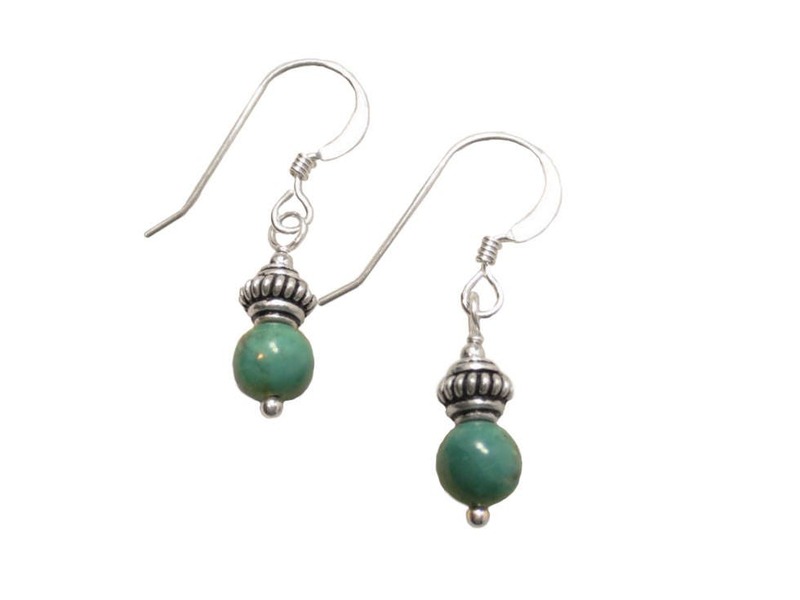 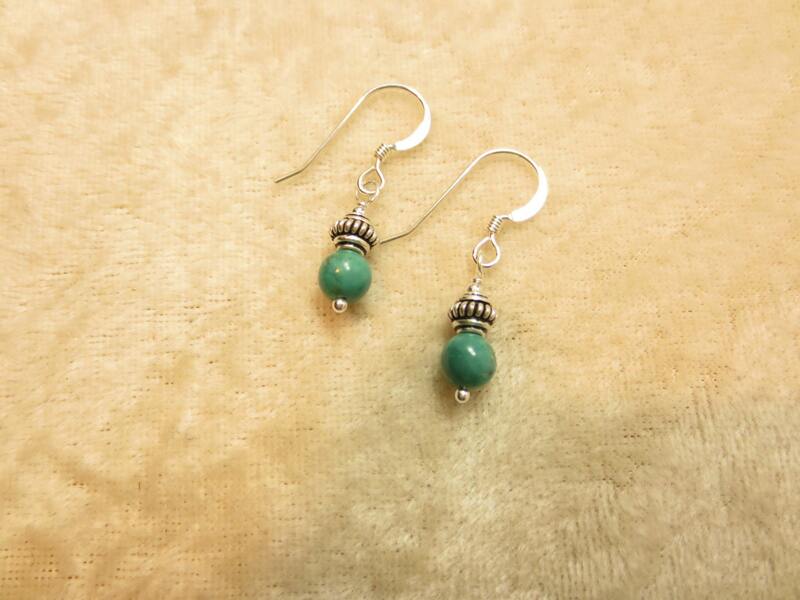 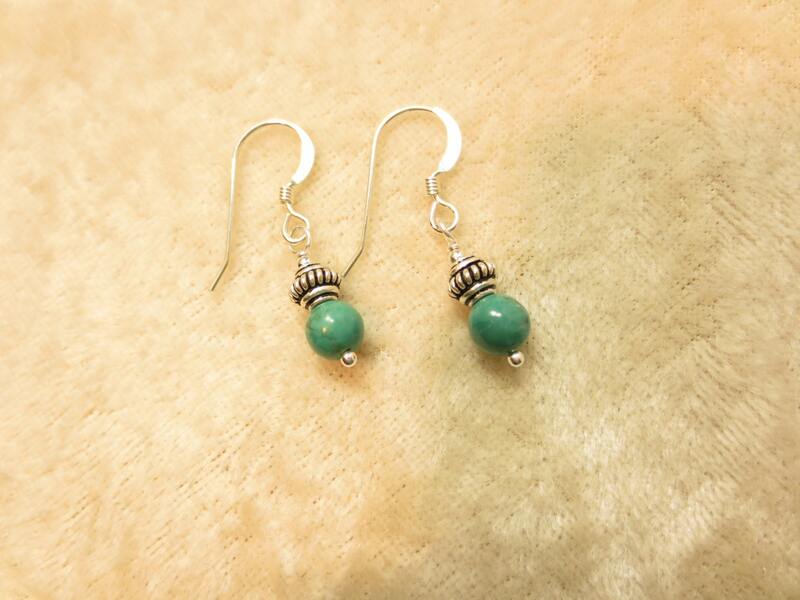 These stacked 6 mm Turquoise earrings with Bali Silver are on Sterling Silver French Hook Earwires. 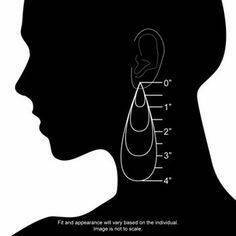 * The Length of the earring is 1 1/4 inches from the top of the French Hook Earwire to the bottom of the earring. 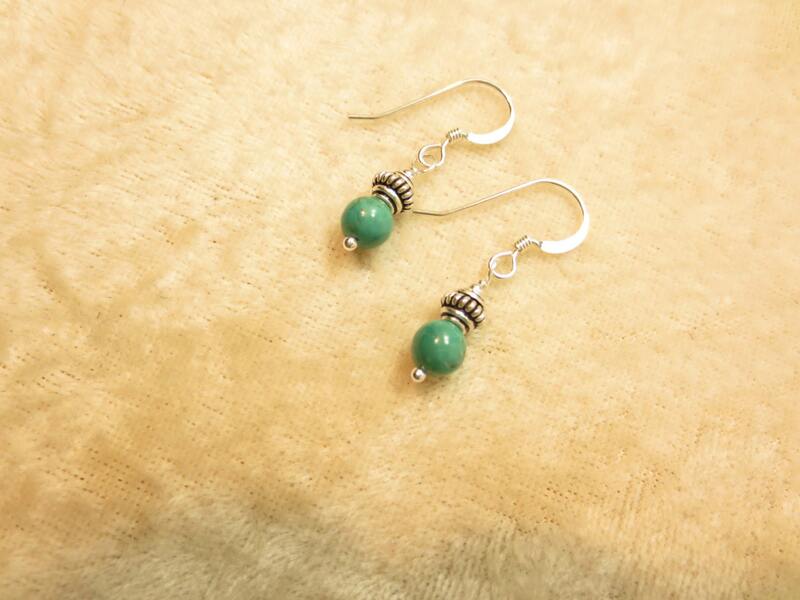 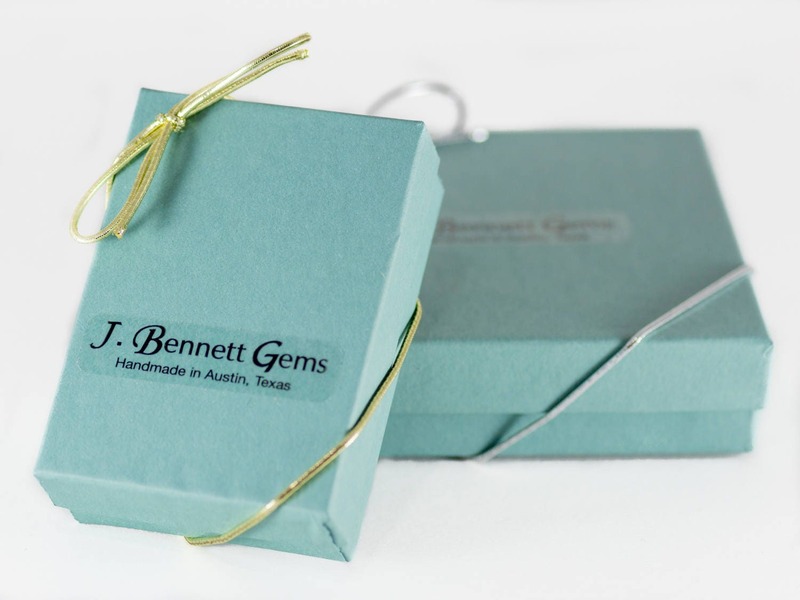 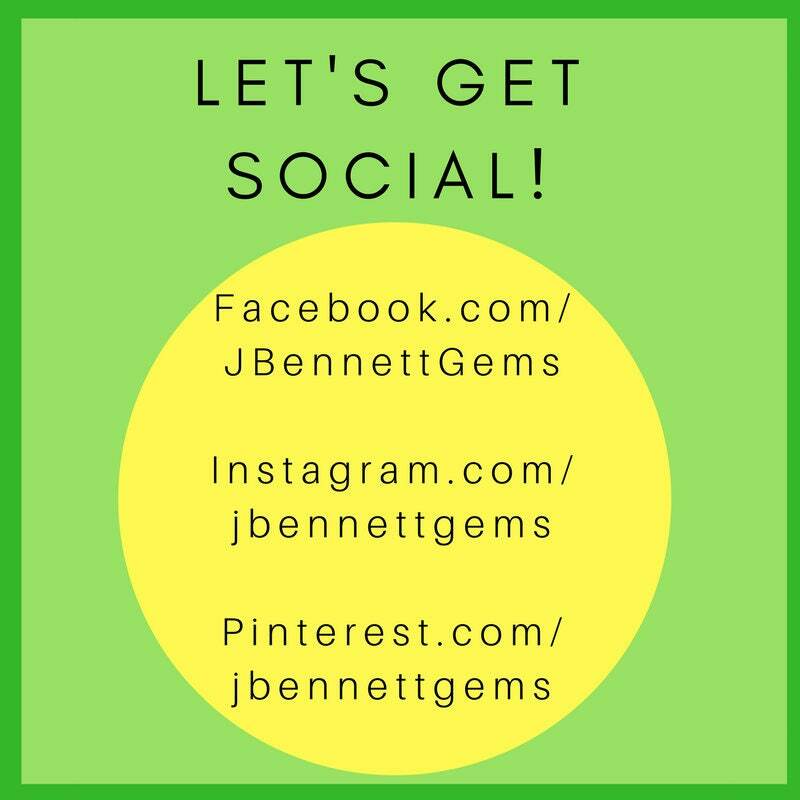 * These dainty, dangle earrings go great with any outfit!